This paper examines UK mobile users’ perceptions of m-commerce utilization. For this purpose, the study has devised a Mobile Network Utilization Model that was empirically tested in experimental settings. 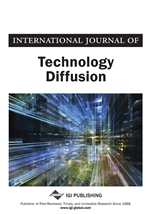 The empirical findings revealed strong support for the capability of the proposed utilization model in measuring the concept of Mobile Task-Technology Fit (MTTF) and explaining the utilization of m-commerce services among UK mobile users. In particular, the research found that MTTF and m-commerce utilization are dependent on the interactions between the key components of a wider mobile network, that is mobile devices, mobile tasks, mobile operators, as well as mobile vendors. Fifteen factors were identified as a result of such interaction and the importance of these factors in explaining MTTF and the actual utilization of m-commerce services was empirically asserted. With slight variations mainly over the technological nature of the medium, m-commerce has been defined by a number of scholars as the trading of goods and services over mobile Internet devices. In their article, Wu and Hisa (2004) defined mobile commerce as a monetary-value transaction that is carried out over a wireless telecommunication network. Makki et al. (2002) asserted this view and attributed the growing demand on wireless Internet services to the increasing growth of wireless networks. Other scholars, however, have emphasized the broad dissemination of the mobile hardware when defining m-commerce. They argued for m-commerce as being the commercialization of services delivered over handheld devices such as mobile phones and Personal Digital Assistants (PDAs) (Sadeh, 2002; Mennecke & Strader, 2002; Dholakia & Dholakia, 2004; Shin et al., 2006). Still other scholars have favored a combination of the two views when defining m-commerce. Barnes (2002), for example, argued that “modern wireless communications represent the convergence of two key technology trends of the 1990s: portability and networking.” In this view, the nature of m-commerce is multi-dimensional since its emergence is not only attributed to advancements in the Internet technologies but also to a corresponding set of inventions in the telecommunication technologies. Clearly, the advent of m-commerce is a natural phenomenon of the wireless convergence. Many have regarded such a form of electronic trade as “a natural extension” of electronic commerce (Coursaris et al., 2003) or “a subset of e-commerce” (Dholakia & Dholakia, 2004; Ngai & Gunasekaran, 2007; Siau & Shen, 2003). Others have seen it as a totally different form of trade stressing the wireless nature of the medium and drawing on the distinction between wired and wireless Internet (Bhasin, 2005). The debate on the nature of m-commerce is still current since more technological advancements seem to add to its uniqueness as a newly emerging business model. In the greatest part of the literature, there remains, however, a strong emphasis on the increasing importance of m-commerce as a thriving force with great future potential in the realm of electronic commerce. Bertrand et al. (2001) expect a possible surge in the mobile-based electronic commerce due to the growing number of value-added mobile services and the increasing world-wide adoption of mobile Internet. Successful adoption of m-commerce with particular reference to Nordic Countries (e.g., Kristoffersen & Ljungberg, 1999) and Japan’s NTT DoCoMo (e.g., Bertrand et al., 2001; Anwar, 2002; Barnes, 2002; Funk, 2006) have been cited by many as examples to substantiate such a possible surge in m-commerce services in the years to come. Certain advanced regions and countries such as Western Europe and the USA, however, have been slow to embrace the m-commerce phenomenon. Scholars such as Makki et al. (2003) and Anckar and D’Incau (2002) have attributed such a slow response to the technical infrastructure, low speed wireless access links, as well as high costs associated with m-commerce implementation. This is also complicated by the absence of integration between mobile players’ sophisticated infrastructure and applications development on the one hand and their wireless data service provision on the other (Seager, 2003).